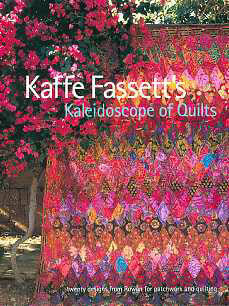 Kaffe Fassett's Kaleidoscope of Quilts is the eighth book in the Rowan Patchwork and Quilting Book series, using fabric created by Kaffe and the other Rowan designers. This softcover book features designs by Kaffe, Liza, and others with complete instructions. Many of the quilts are pictured in the "Fabric Packs" section of our catalog.